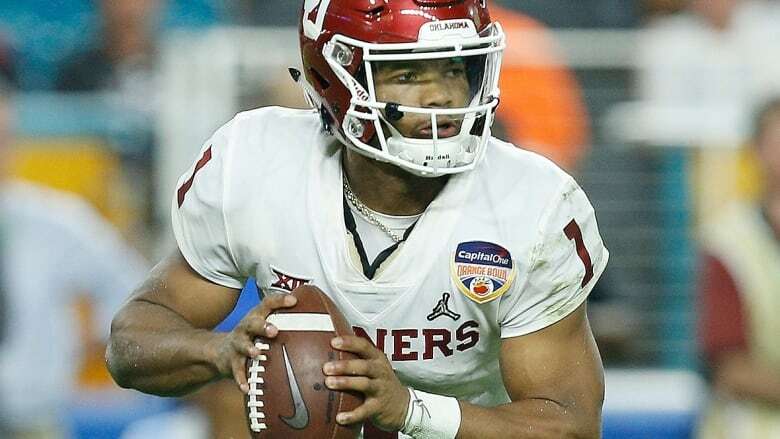 ​When Kyler Murray won the Heisman Trophy, the Oakland Athletics knew there was a chance he might chose football over baseball. That is exactly that happen. Murray was the ninth overall pick in last June's baseball amateur draft, and the outfielder agreed to a minor league contract with Oakland for a $4.66 million US signing bonus. He is a football quarterback and is eligible for this year's NFL draft, which starts April 25. "I am firmly and fully committing my life and time to becoming an NFL quarterback," Murray tweeted. "Football has been my love and passion my entire life. I was raised to play QB, and I very much look forward to dedicating 100 per cent of myself to being the best QB possible and winning NFL championships. "I have started an extensive training program to further prepare myself for upcoming workouts and interviews. I eagerly await the opportunity to continue to prove to NFL decision makers that I am the franchise QB in this draft." "Quarterback is a very demanding position, as is being a major league player," Beane said. "To say somebody could or couldn't, I'm not here to say that. Something like that is something that is part of our private discussions."